Those are the online business models I’ve been teaching on this blog since its launch. I know so much about them. And I’m making money from all of them. However, I just recently came to terms with the fact that mini importation business is an online business, too — though some additional offline effort is usually required. Even at that, I won’t personally discuss mini importation on this blog because it’s not my forte. I don’t know much about it, and I’ve never given it a shot, let alone making money from it. However, I recently interviewed a good “e-friend” of mine, Mr. Akaahan Terungwa. He knows a lot about the mini importation business, and he earns a huge monthly income from it, too. So, he’s really a “specialist” in it. In this interview, Mr Terungwa shares the basics of the mini importation business and tips on how to quickly succeed at it. Though the interview isn’t a comprehensive tutorial on mini importation, you’ll learn enough to help you decide whether to take a plunge or not. I’ve got an unimpressive and simple name: Akaahan Terungwa. I got fascinated about living the dot com lifestyle (earning a full time living online) around 2008. Between that time and 2012, I ran a blogspot account, which I updated only when I heard that a blogger was making millions. However, the real show started towards the end of 2012/early 2013 when my online activities began to pay. 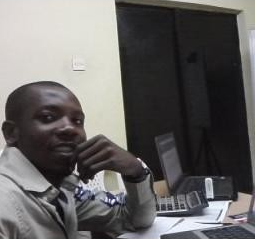 I started online business (proper) in 2012 and enjoy money from various online ventures. However, if you force me to choose (as you have), then, it’s definitely going to be The Mini Importation Business. In brief, how can you define the mini importation business? Quite simple: importing handy goods/electronics (majorly from China, U.S., and U.K.) into Nigeria either by Express Courier Services (like UPS, DHL etc.) or ‘Snail Mail’ (like NIPOST). Why did you favour it over other online businesses? The ROI (Return on Investment) is simply high and at times, best left to the imagination. A product bought online either from China or the U.S. for just $100 (about N16,000) could be sold for as high as N 40,000 back here in Nigeria…can you imagine? Are you making enough money from this mini importation business as you always desired? This business puts a roof over my head and feeds my family. While there is still room for expansion, I make in a month what the average graduate makes in a whole year! How exactly are you making money from this business? The money spinning models are many and varied. I retail online via avenues like Nairaland, Facebook and my primary blogs. I sell offline by means of the numerous posters and GSM phone number data bases of potential customers I have. I supply to corporate bodies (mostly in cases of deferred payment — and for higher retail price too). And most traders in the local markets around me patronize me. What has been your biggest challenge so far as far as mini importation is concerned? The exchange rate fluctuates, sometimes to the disadvantage of those of us that inhabit the global South. Having a reliable credit/debit card that would be accepted at all times. Until recently, taking advantage of the cheap offers available on eBay (because of the lack of a Paypal account). Aside mini importation, in what other ways do you make money online? There are many other ways, Abass. However, I’ll limit myself to the three I’m comfortable sharing. My primary blog accepts ads and sponsored posts. While these have been infrequent and far between, they’re always worth the wait when they come. I am a freelance writer for a number of companies. These various jobs ensure I always have a ready check every 15 days. I run a reviews site where I capitalize on the power of Amazon to garner affiliate earnings. Of course, I do — two which I’ll share here immediately. My primary blog, www.notopoverty.com focuses on blogging, tips and the art of getting better. 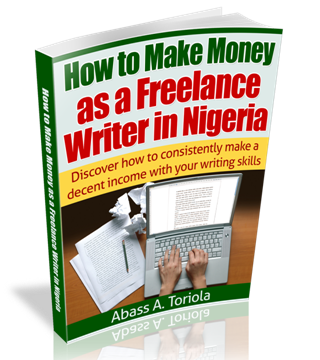 Recently however, I launched www.makemoneyonlinenigerians.com which lives up to its name by teaching Nigerians the art (and science) of making money online in a country like Nigeria. What are your plans for the future as far as your mini importation and other online businesses are concerned? That’s one thing I don’t share. I don’t share that bit of info because, as a business, all information relating to expansion and future plans are strictly classified. I wonder if you understand? Do you plan to leave this mini importation thing for other businesses? For the time being, let’s just say I’m enjoying every bit of it. However, I’m open to better options. Based on your experience, in brief sentences, kindly walk us through the whole process of starting a mini importation business and making huge profits from it. In other words, briefly explain the steps involved. Receive your consignment and sell for a huge profit! 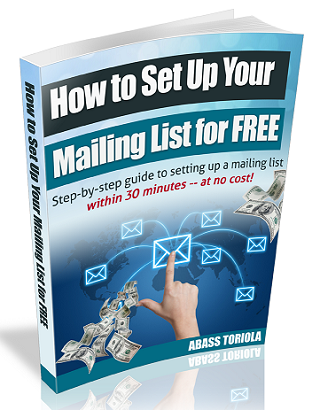 However, if you need a comprehensive guide, check out my Mini Importation eBook. My business is self-sustaining. This is because I have modeled it so. My wife handles the orders once I give her a call (upon payment confirmation). This is because, I may be in Abuja today and the next day, I’ll be heading to Lagos! What are those factors that increase one’s chances of success in the mini importation business? Guts — and plenty of it. Understanding of the market dynamics. Keeping an eye for especially high ROI products that also pass the quality standard. 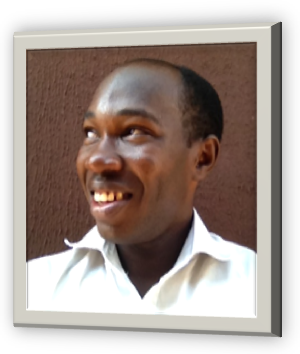 Now, what are the challenges one would most likely face as a mini importation entrepreneur? Getting a reliable, cheap and efficient payment method. Getting the world to know what you do. What are those things one needs to have known before venturing into this business? 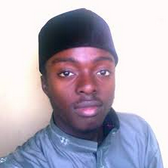 Nothing much, Abass. Just an average IQ and guts (that make your peers wonder if you are nuts). 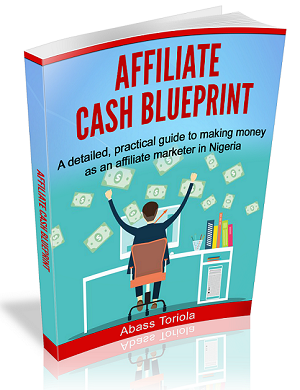 Now, as you know, this blog is aimed at helping Nigerians discover how to make money online. Kindly give your pieces of advice and words of motivation to those who are aiming to start mini importation — professionally. Buy and sell only quality stuff (that are highly in demand – or easy to stimulate demand from). Nigerians are known to be great frauds…always prove to be an exception: ship (and on time) every bit of item prepaid for by your customers. Keep an eye on the dollar. When it fluctuates (to the favor of Nigeria and Nigerians) — is the best time to place orders. If there is any secret or golden advice you’d give a newbie whose just planning to take a plunge, what would that advice be? There is really no golden advice here. If you keep your eye on the aforementioned three, you’ll do just fine. Are there other valuable pieces of information you would like to share with us about mini importation? Yes. This stuff is completely tax free…can you imagine? No import tax, no sales tax! The money is all yours in both an amazingly simple and legally righteous way! Everything’s on course except one thing: the posts are infrequent and far between. 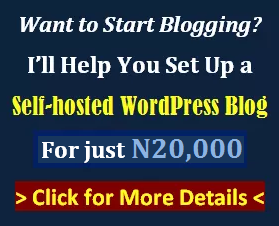 That’s not a great idea considering the great service this blog is offering Nigerians. What do you think? What do you think about the interview? Do you have any objections, contributions, or questions? Share your thoughts by leaving a comment.